The last OxygenOS 5.0 update for the OnePlus 5 was based on Android Oreo. However, it was called off due to a major bug, which the company didn't disclose. OnePlus has started rolling out the OxygenOS 5.0.1 update for the OnePlus 5. The new update is based on Android Oreo and comes with a plethora of new features and also enables facial recognition on the phone. As it’s a phased OTA roll-out, only some devices will receive it for now and users can check if it’s available for their device by heading over to Settings and checking under System Update section. The company had released the Oreo-based OxygenOS 5.0 update for the OnePlus 5 last month. However, it was shelved mid-rollout without any stated reason. The new update sheds some light on the issues as the new changelog states that it comes with bug fixes for third-party camera applications and network issue fix for European operators. Rest of the changelog remains the same. OnePlus has also mentioned that any device with an unlocked bootloader is unsupported and cannot be updated. Users will need to re-lock their devices in order to receive the update. 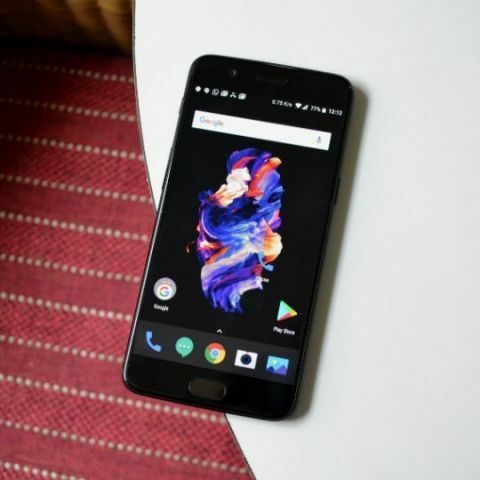 The OxygenOS 5.0.1 updates the OnePlus 5 with new features such as improvements to the OnePlus launcher with new app folder design, new notification dots, and also brings Android Oreo’s core features like support for Picture-in-Picture (PiP), new quick settings designs, Parallel Apps, and more. The smartphone manufacturer has already released the latest OxygenOS 5.0.1 update for its OnePlus 3 and OnePlus 3T smartphones last week. The devices are now updated with new features like an 'adaptive mode' screen calibration, a new Wi-Fi hotspot manager, and some other general bug fixes and improvements.